The Cassini spacecraft takes in the crater-strewn surface near Dione's south pole in this natural color view. Long fractures slice across the surface here, as on other parts of the moon. Previous Cassini imaging investigations have shown that the canyons seen here do not appear to have the bright, presumably youthful, walls seen in fractures nearer the equator (see PIA07581 ). 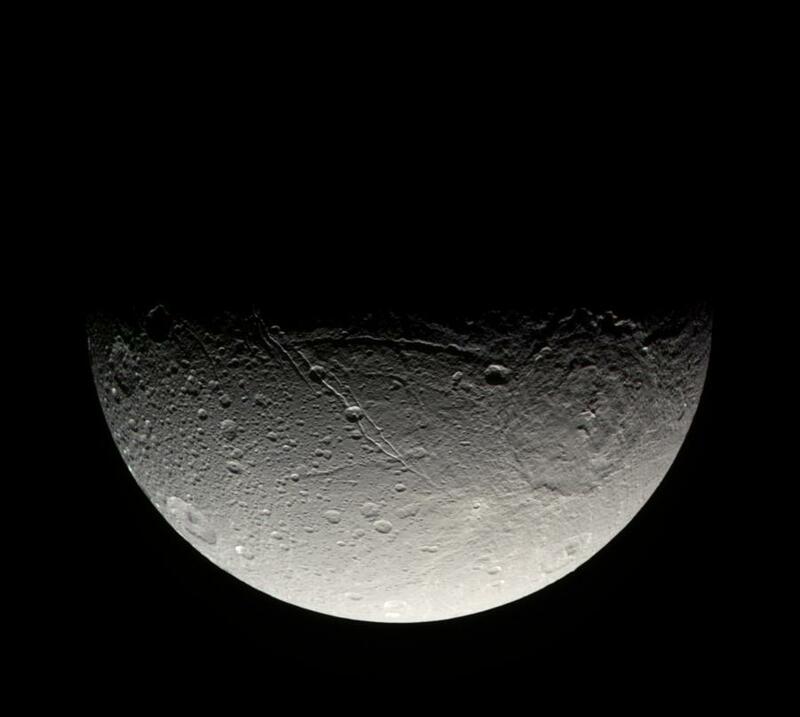 Dione is 1,126 kilometers (700 miles) across. Images taken using red, green and blue spectral filters were combined to create this natural color view. The images were taken in visible light with the Cassini spacecraft narrow-angle camera on April 8, 2007 at a distance of approximately 268,000 kilometers (166,000 miles) from Dione and at a Sun-Dione-spacecraft, or phase, angle of 92 degrees. Image scale is 2 kilometers (5,249 feet) per pixel.